We all want our children to be independent don’t we? Last week when I took my oldest son Ben off to Manchester University and dumped him there I cried on the long drive home. I’m told this is normal behaviour. My tears were those of nostalgia for a time when he needed me. I’d been looking forward to spending the day in the car with him because the truth is he really does not need me too often these days. He is lovely, kind, fun and now totally independent. I guess it’s a rite of passage we all expect to happen in time – or at least most of us do – the fortunate ones. If you are the parent to a child with disabilities your tears may be down to the fact that your lovely, gorgeous baby may NEVER achieve the independence my son has been lucky enough to take for granted. If your child may need support for the rest of their lives the one thing you long for and hope for is that they can have their independence. Of course I can only guess how hard this is, but when I met Ruth Everard, following a talk I gave at the British Library last week, she introduced me to a whole new way of thinking. Our children start to leave our clutches at about 18 months old. They start to explore, they are naughty and head off at a scary pace enjoying their independence. We panic and worry about traffic and strangers and losing them in supermarkets but ultimately we are proud that they are adventurous, gutsy and most of all funny in their joy of being able to walk and run. But what happens if your baby’s legs don’t work or if they can’t run away when the fancy takes them? This is something I’m ashamed to say I had not really thought about before. I have seen teenage children with motorized wheel chairs but never toddlers and now that I have watched this fabulous little Charlie (here), I just can’t bear that more toddlers with disabilities don’t get the chance to enjoy his freedom. This is a totally adorable little film and such an eye-opener to those of us who have just never thought about this problem. I’m delighted to give Ruth’s not for profit business a plug, please pass it on. A child’s first steps are amongst the most exhilarating moments of watching them develop. It’s a turning point: the threshold between simply soaking in everything as it goes on around them, and autonomously engaging in it. Child-proofing becomes key as little fingers find all kinds of things you never thought could be so interesting. The vocabulary in your home changes. The word “no” features far more prominently, both from you and your increasingly wilful child. The range of conversations that you will have with your child broadens: you ask her to “come here”, to “bring me that”, to “stay away from this because it is hot/sharp/heavy/fragile”. The sounds in your house change – the frustrated crying infant is replaced by a chattering, squealing and, yes, sometimes screaming toddler. Instead of carrying her with you or setting him in a safe place while daily life goes on, you can far more readily include your child. 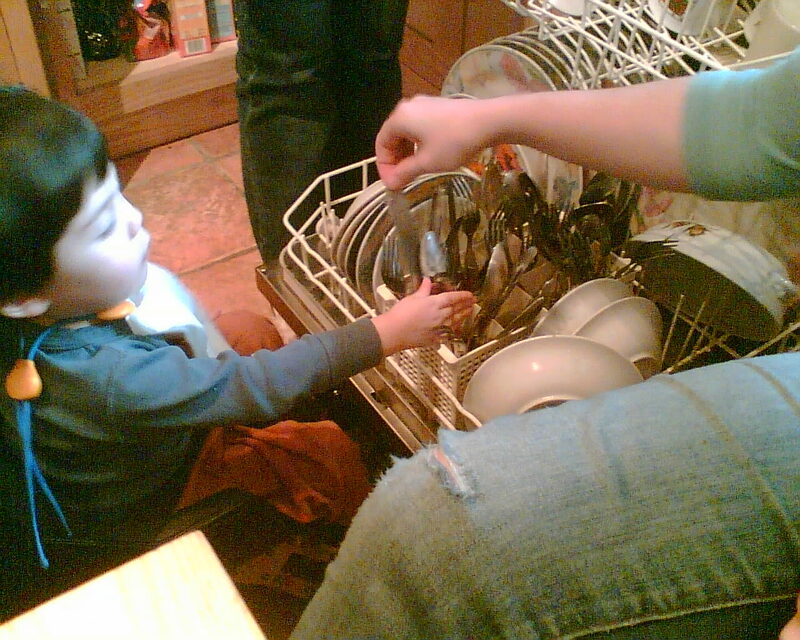 Helping grown-ups becomes the order of the day (even if things might be more efficient if the help were not offered!). Every task becomes an opportunity to practice for independence and adulthood – to mimic, to be involved and to feel needed. 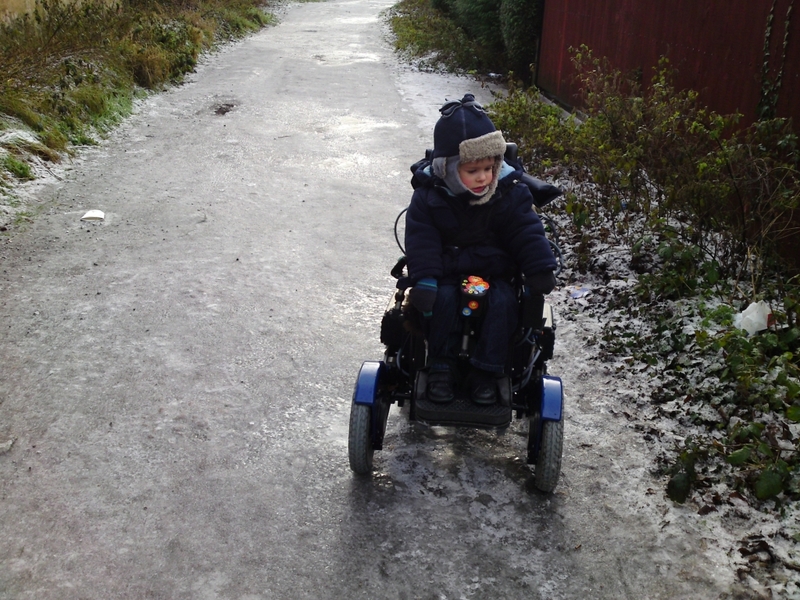 When a child is born with a physical impairment, the news or realisation that walking will be delayed, or never come at all, is a vicious blow to any parent. The loss of the simple “one foot in front of the other” is the tip of a very large iceberg – all the milestones that should have flowed from it. At this critical phase in brain development, a disabled child is learning that they are helpless and passive. Parents in their grief can rattle off an unending list of the things that will never be, most of which are related to independence and which lead logically on to the next. It’s a very obvious problem which we can all instinctively comprehend. My own family faced this many years ago (there I go, trying not to give away my age!). I was a quiet eighteen-month-old, recently diagnosed with a genetic condition which meant I would never walk. I would often be described by strangers as “good” because I sat so still in my buggy; and sometimes, as a result of what had been meant as praise, my mum would go home and cry. As a design engineer and a social worker, my parents were in an unusually lucky position to identify and also to solve the problem. What they didn’t have was evidence. The logic was roughly: you can’t put a toddler in a powerchair, because nobody has ever tried to make such a thing, because you don’t need to put a small child in one…. Recently I have had conversations with a couple of people who ran the playgroups and nurseries I was in when I was small. I love to hear what they tell me, because it sounds so run-of-the-mill: their stories begin “when you got your chair” but they might just as well start “once you could walk”. Apparently, as soon as I could move I was always the one to help to tidy the toys away at the end (possibly a skill which has faded in later life), and I liked to sneak away from sitting in a circle and hide under the table…. In other words, I was developing normally and finding my place in the world. That ordinary development has been borne out of a fully integrated education, a spot of average teenage rebellion, some overseas travel, setting off for university and (apart from that brief inevitable return to the childhood bedroom while I was buying my house) going straight into my own place after graduation, fantastic friends, several driving tests (one of which I passed! ), professional qualifications, and a fair amount of love and heartbreak (with hopefully one day a happy ending and maybe a family of my own). In other words, that long list of things that would never be has paled and contracted, because I knew to go and get them. Throughout my childhood and beyond, my parents have gone on providing the technology for other families in this position (and of course developing it for the 21st century). We’ve heard and watched an abundance of equally typical yet momentous stories about hundreds of toddlers we have helped just to do their thing and be themselves. What happened to me was a result of a leap of faith and ferocity which only parenthood can give you. I am incredibly proud that in recent years I have joined our social enterprise (after a brief career as a solicitor) so that I can say to parents of my own generation in the same situation now, that IT IS GOING TO BE OK. It is natural for you to mourn the loss of cut knees and climbing trees, and right that you should take time together to come to terms with the cruel change in the life you had planned for your baby. But he or she has a full, happy life ahead which begins now with all those other childhood experiences: those where it doesn’t matter how you got to them, it’s what happened when you got there. 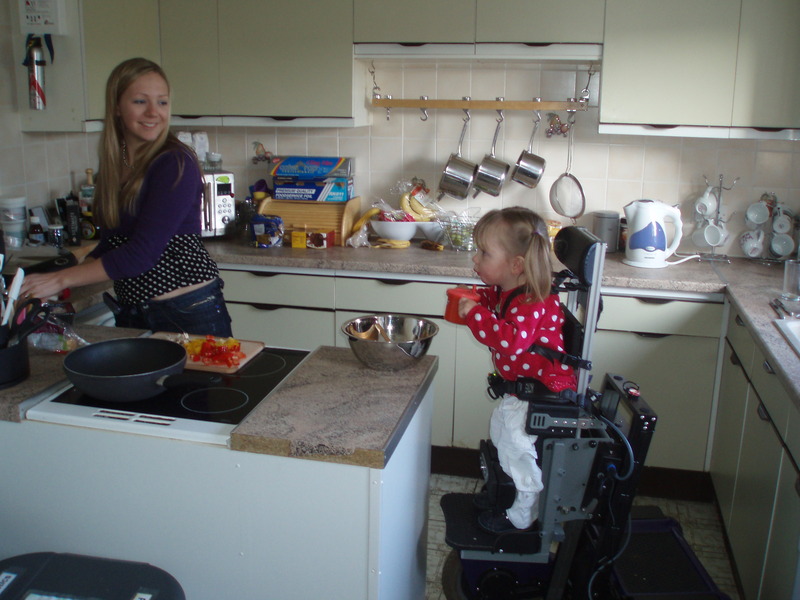 You can put a toddler in a powerchair, because someone has designed such a thing specifically for their development, because you need to for their growth and stimulation. Ruth Everard runs Dragonmobility, a not-for-profit project which manufactures bespoke SnapDragon powerchairs for children from twelve months. With a wealth of expertise in child development and mainstream integration of disabled children, the team can guide you, or someone you know, through the transition to powered mobility. My granddaughter Beatrice has SMA and has a lovely pink snappy which has certainly made her life easier! Luckily my son did lots of research as he wanted her to have as normal a life as possible. It’s a shame there’s not more help from the NHS and you have to rely on fundraising to get the money for a special chair! This has to carry on as she”ll need replacement chairs as she grows so a big thankyou to everyone who helps. Great article! I remember Ruth is her chair at nursery and it certainly didn’t stop her tearing about with the rest of us!